Are you looking for the best gifts for new moms? Well, as a new mom myself, I have some good ideas! I have a 5-year-old and a 7-month-old, so I am a new mom, twice over. Speaking from experience, new moms are tired, drained, exhausted, spent, and in need of a whole lot of TLC. Anything that makes their life a little easier will fall into the category of best gifts for new moms. A Pedicure – A gift card for a pedicure is a great gift idea for a new mom. I guarantee her feet are achy and in need of some rubbing. If you can also secure a babysitter for her to go on that pedicure, you will likely be her favorite person, ever. Dinner – A home cooked meal can go a LONG WAY for a tired, sleep-deprived new mom. Especially if she is nursing, in which case, she is likely hungry, all the time. Making a home-cooked or even healthy take-out meal is a kind gift for a new mom, and a good excuse to go see the new baby. You could also gift dump dinners, for the new mom to use at her convenience. Netflix – For those late nights. Trust me. She’ll love it. Below are a few of my favorite things that I received or purchased, and that have been invaluable. It is possible that the new mom on your shopping list hasn’t had an indulging bath in months. A 5-minute shower may be pressing their luck! 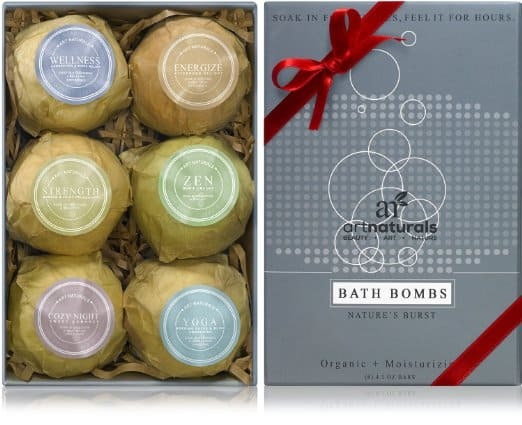 Give them a reason to hand the baby to dad (or grandma) and give into a little R&R by gifting them these luxuriously organic bath bombs. If you’re a DIYer, you can also make her DIY Bath Bombs. 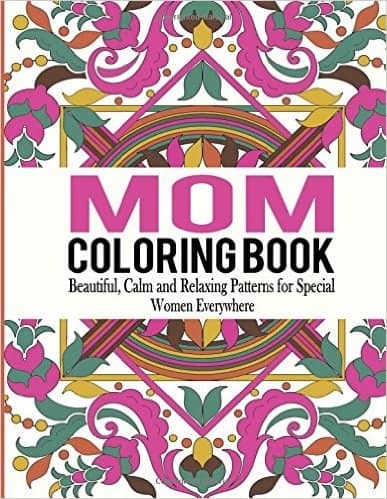 A coloring book that is just for moms in need of a little relaxation. Coloring can combat stress, which I think most moms could benefit from a little less stress! Grab a box of colored pencils to go with them. A robovac is the best thing ever. I have been using my robovac for almost 2 years now, and when people ask if it works well, the answer is YES! I start my vacuum by pressing a button, every Friday morning. When I get off work, my carpets and linoleum are vacuumed. 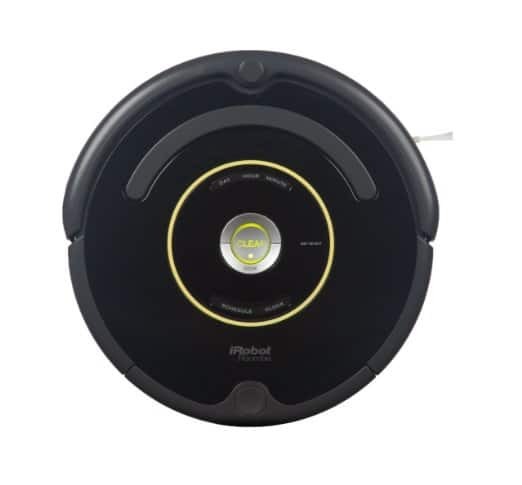 My robovac even leaves the carpet lines that professional cleaning services do! Yes, they are expensive. Are they worth the money? For me, yes. Without question. I am a working mom and time is a scarce resource around here. I love my robovac. As one more added bonus… I posted an article on tips to soothe a fussy baby, and talked about how colicky and fussy babies are calmed by the sound of the vacuum. The robovac is amazing for soothing fussy babies, without having to move around a vacuum. Mom gets rest, baby gets soothed… it is a win-win-win situation. For busy moms, for moms of fussy babies, and for moms who like to leave the house every once in a while, a baby carrier is a MUST. It is so convenient to put your baby in a carrier when you need to get the laundry done, or need to get dinner on the table. If your child refuses to nap and you’re at your wits-end, the carrier is an easy way to rock your baby to sleep. If you need to get a cart’s full of groceries, but don’t want to put the baby car seat in the cart, the baby carrier is the best. I have a Beco Gemini, and have gotten my money’s worth from it, ten times over. A baby carrier makes an excellent gift for a new mom. These are my ideas for the best gifts for new moms. Even a phone call, email, or Christmas card will be appreciated by the new mom. It is, after all, the thought that counts, and taking the time to think of how busy, tired, and sleep-deprived a new mom is will go a long way! Thank you, thank you, thank you!!!!! I’ve had the hardest time trying to come up with a meaningful, cute, inexpensive gift for my group of mom girlfriends this year !!!!! !Thanks so much for compiling this list for us! This is perfect timing for me to find this post – my big sis is trying and I have a feeling she is going to tell me she is pregnant any day now. I’ve been thinking of the perfect gift to give her and I love this idea!! !